2 Sisters Food Group has published its Gender Pay Gap report and unveiled a series of initiatives to improve diversity, gender, equality pay and opportunity across its business. 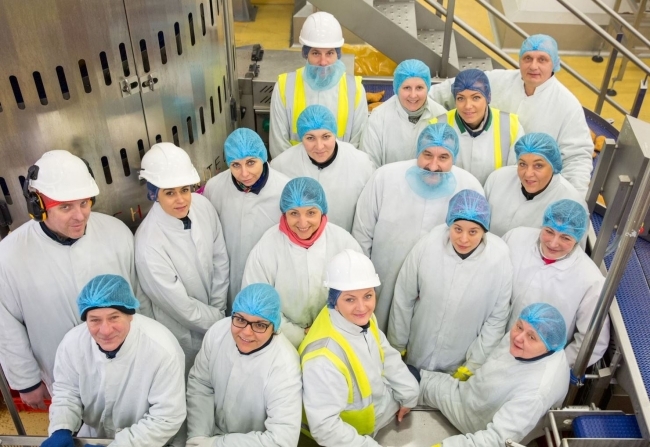 As one of the UK’s leading food manufacturers and a major employer, the business said it believes that it is very important for companies to be transparent about pay to help bridge the pay gap that exists across the country. 2 Sisters were keen to highlight that men and women are paid equally for doing equivalent jobs with equivalent experience and the gender balance and pay rates for their factory floor teams is comparable to UK manufacturing as a whole. Their Gender Pay Gap is 9.7 per cent (mean) and 4.1 per cent (median), which compares very favourably to a 24.5 per cent median pay gap in the private sector overall, according to the Office for National Statistics (ONS). Taking active steps to facilitate flexible and, or, part-time working and ‘family-friendly’ policies for senior management level colleagues to help improve work-life balance and support those with caring responsibilities. 30 per cent of senior leadership roles (executive level or above) to be occupied by women by 2021. A programme of sponsored MBA scholarships, available to female and male applicants, with the objective of improving leadership opportunities for women across the sector. The launch of a 2 Sisters Food Group ‘women in leadership’ mentoring programme. Members of the senior management team will mentor and help build a talent pool of women at the business so they are ready to move into senior management positions. Insisting that recruiters always provide balanced shortlists with the inclusion of female candidates as well as those from a range of backgrounds. Ensuring all internal shortlists have at least one female candidate. Establishing a set of metrics to regularly monitor the diversity performance and report externally on an annual basis. Ranjit Singh, President of Boparan Holdings Limited, owner of 2 Sisters Food Group said: “I am interested in creating a real culture change on opportunity at our business that will lead the industry. We need to create an environment that works for all employees, both male and female. If we do this, we will see more women succeeding in senior management roles.